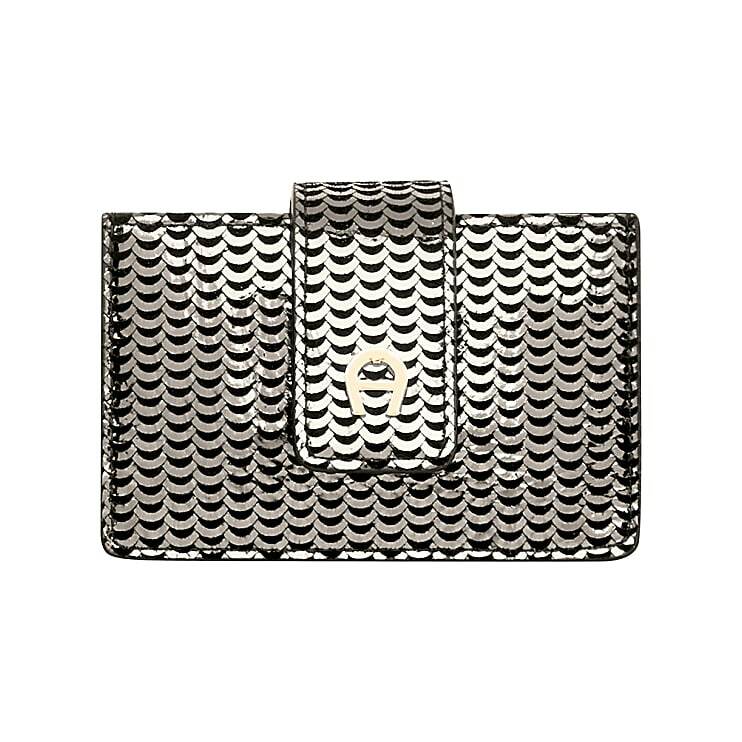 The Fashion card case remains true to its trendy name. The cool metallic effect in a sequined look radiates and shines on the soft kidskin. Plenty of cards and IDs that you need for a long party night fit into this leather case. 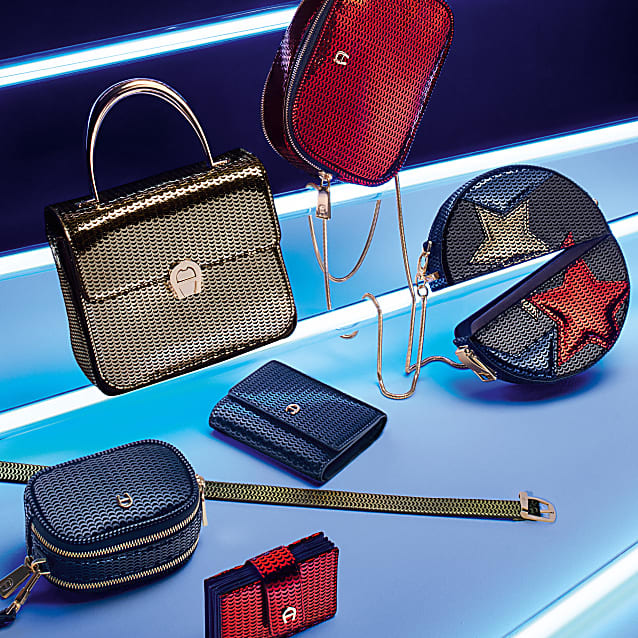 The case fits into the smallest evening bag because of its size, for example the Tonda or also the small Genoveva shoulder bag in the same look.